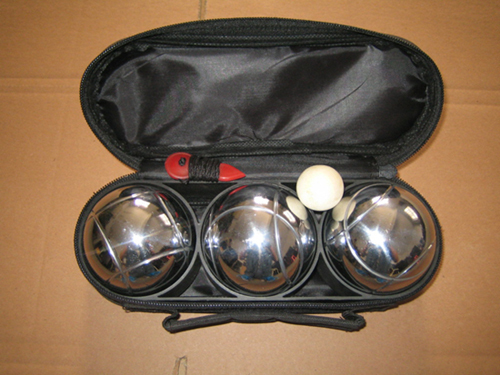 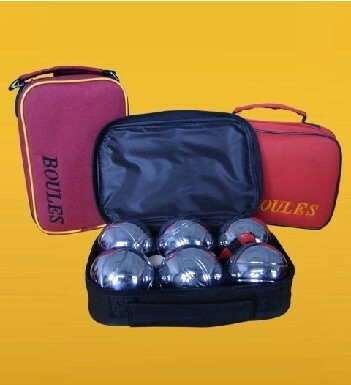 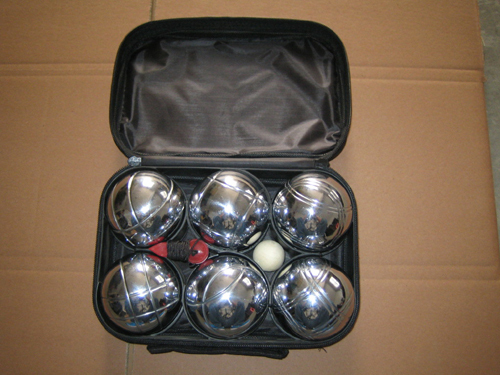 Petanque set of 4 with nylon case. 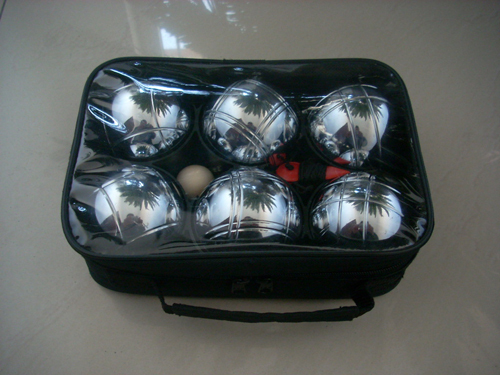 Each ball 73mm in dia, 720g weight. 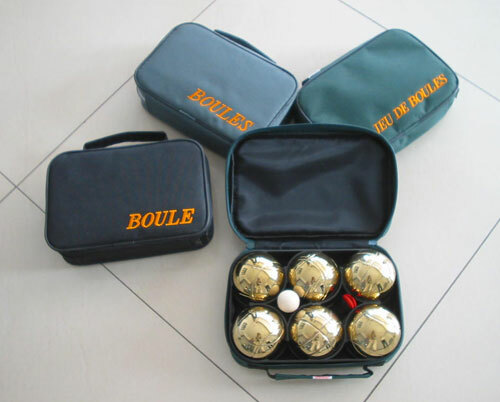 Good price and quality leisure french boule garden game. 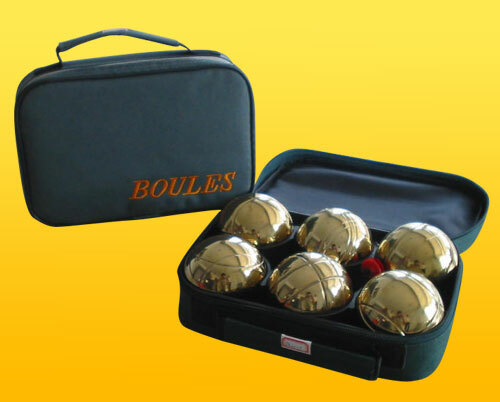 Tianci ball manufactory had had 10 years history of producing steel boules. 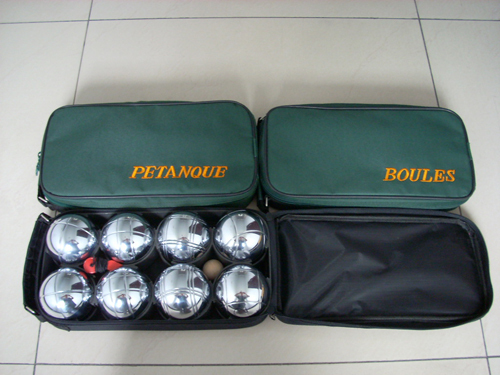 Any want to buy french Petanque set welcome to contact us. 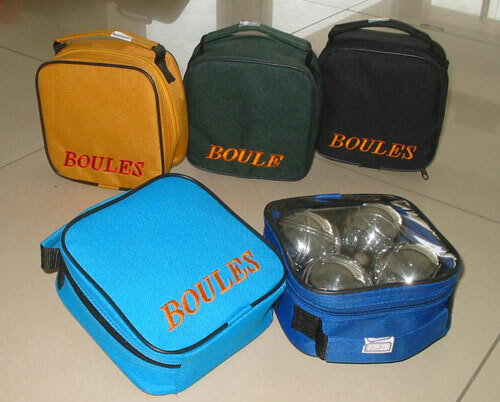 Custom label and custom boules can accept.